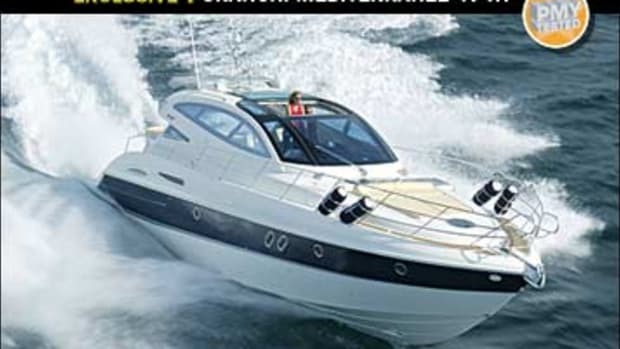 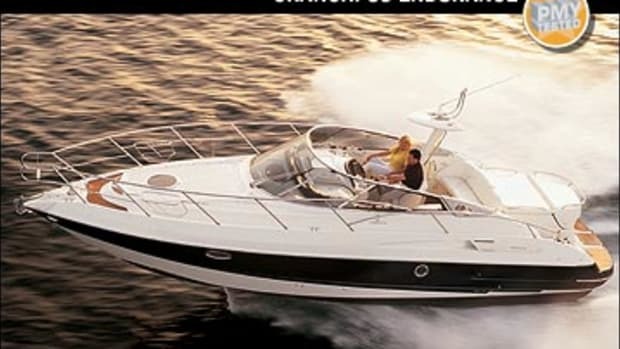 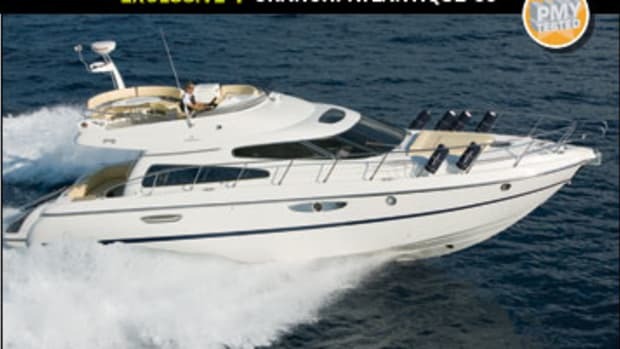 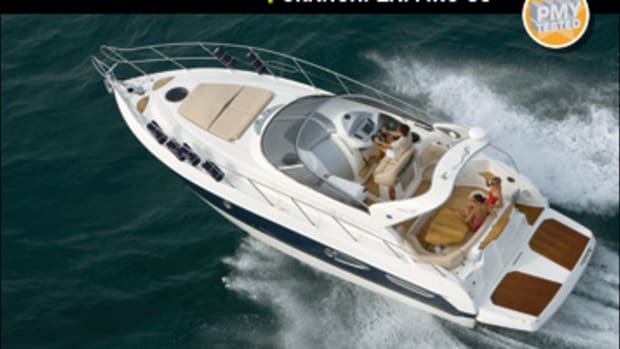 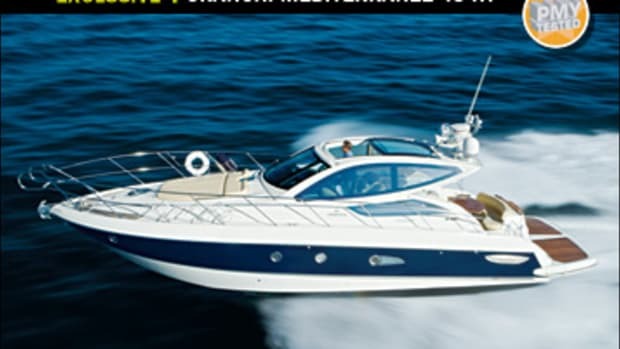 Click here to visit Cranchi Yachts's website. 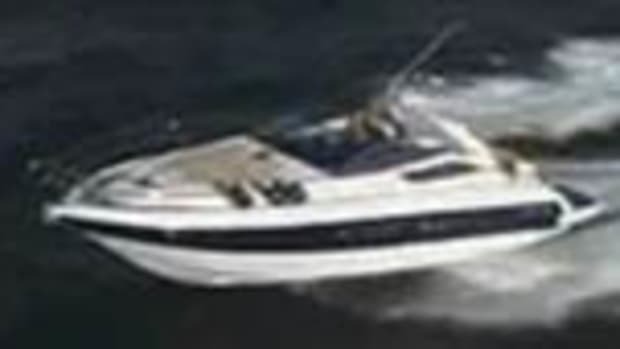 Click here to visit Yacht Works' website. 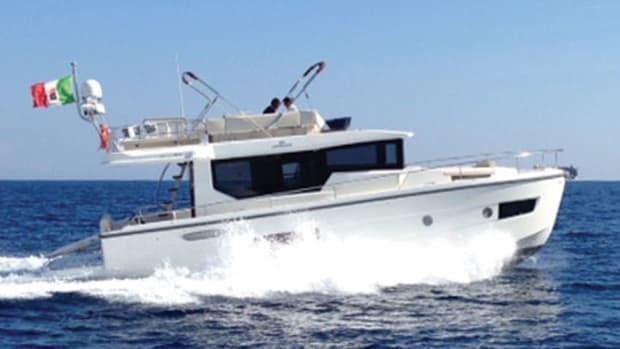 Our boat test of the Cranchi Eco Trawler 53 LD. 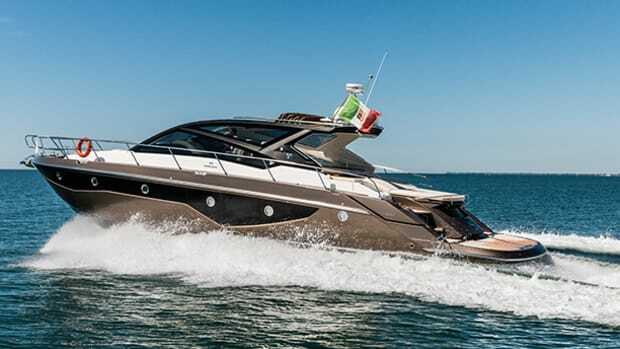 Our Boat Test of the Cranchi 60 ST.
Take the helm of the Cranchi 60 ST.
Our first look at the Cranchi Sixty Fly. 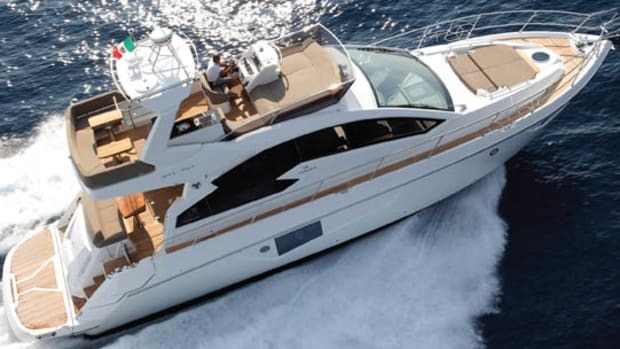 Cranchi seems to have a knack for producing midrange express cruisers that keep their customers happy with a pleasant mix of onboard accommodations and on-the-water performance. 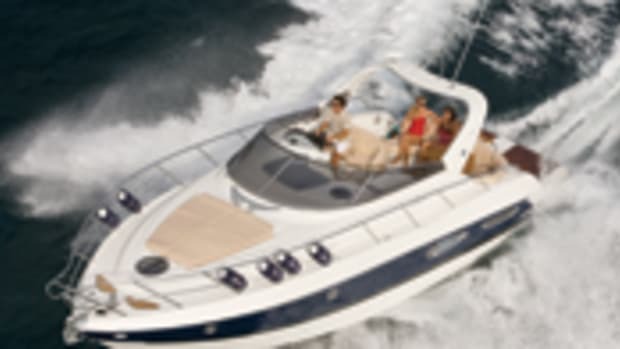 They have seen much success with their Endurance 41, and now look forward to continued adulation with the M40, a boat that debuted at the 2012 Miami International Boat Show. 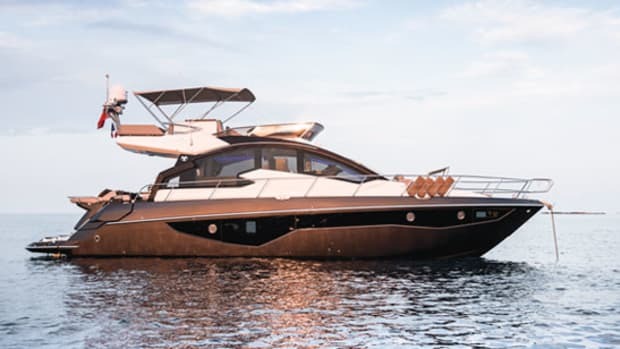 That continuation of praise wouldn’t be all that surprising, since she is at once both sleek and functional, built for play, but also amenable to life onboard. 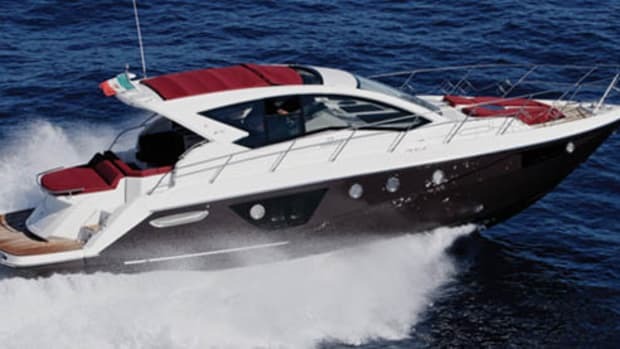 This cruiser is sure to please with a three-stateroom layout and the maneuverability of IPS propulsion. 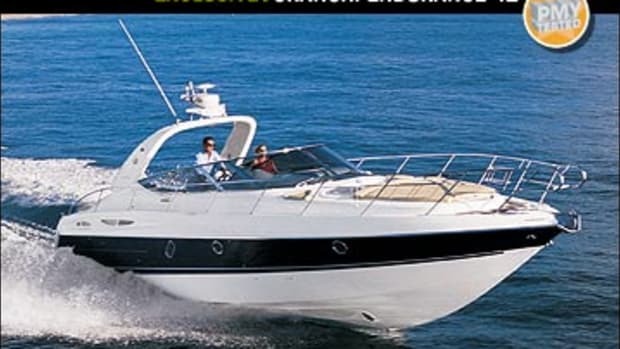 And that flying bridge is a must-see. 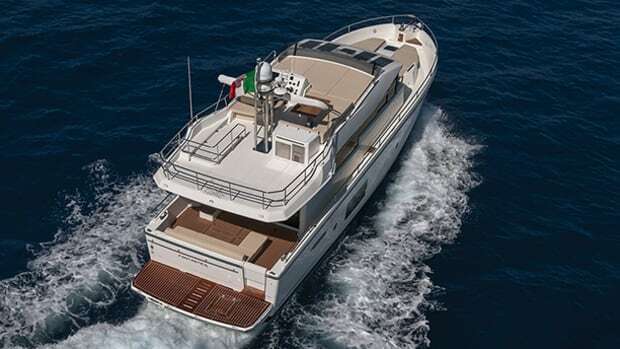 With attractive and relatively low-slung lines it’s no wonder the Fifty 8 was the source of so much chatter on the docks. 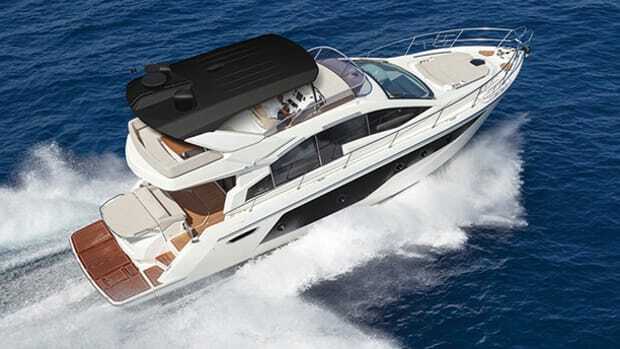 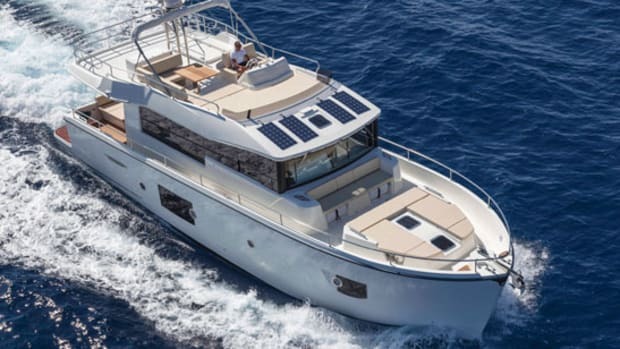 Cranchi's Mediterranee 43 combines quality boat building with new technology aboard an exciting boat featuring Volvo-Penta's revolutionary IPS system. 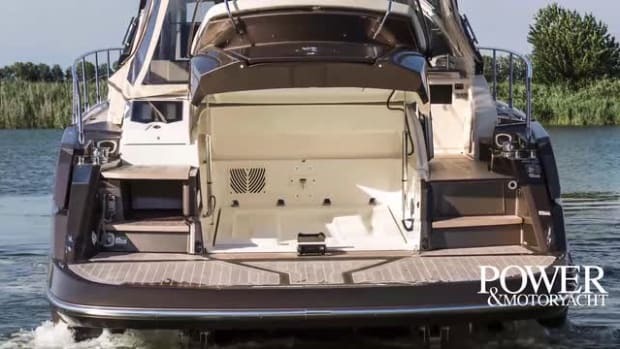 Join PMY for an inside look.